Benjamin Tucker, the son of a whaling merchant, was born in New Bedford on 17th April, 1854. He attended the Massachusetts Institute of Technology and while an eighteen year old student heard William Greene speak at an anarchist meeting in Boston. He was immediately converted to the cause and the two men became close friends. In 1872 he started a sexual relationship with Victoria Woodhull, sixteen years his senior and advocate of free love. Later that year she was nominated as the presidential candidate of the Equal Rights Party. Although laws prohibited women from voting, there was nothing stopping women from running for office. Woodhull suggested that Frederick Douglass should become her running partner but he declined the offer. During the campaign Victoria Woodhull called for the "reform of political and social abuses; the emancipation of labor, and the enfranchisement of women". Woodhull also argued in favour of improved civil rights and the abolition of capital punishment. These policies gained her the support of socialists, trade unionists and women suffragists. However, conservative leaders of the American Woman Suffrage Association, such as Susan Anthony and Elizabeth Cady Stanton, were shocked by some of her more extreme ideas and supported Horace Greeley in the election. Friends of President Ulysses Grant decided to attack Woodhull's character and she was accused of having affairs with married men. It was also alleged that Victoria's previous husband was an alcoholic and her sister, Utica Claflin, took drugs. Woodhull became convinced that Henry Ward Beecher was behind these stories and decided to fight back. She now published a story in the Woodhull and Claflin's Weekly that Beecher was having an affair with a married woman. Woodhull was arrested and charged under the Comstock Act for sending obscene literature through the mail and was in prison on election day. (Woodhull's name did not appear on the ballot because she was one year short of the Constitutionally mandated age of thirty-five.) Over the next seven months Woodhull was arrested eight times and had to endure several trials for obscenity and libel. She was eventually acquitted of all charges but the legal bills forced her into bankruptcy. Tucker's relationship with Woodhull ended in 1875. William Greene introduced Tucker to Ezra Heywood and Josiah Warren. All three men were supporters of Mikhail Bakunin who at that time was living in Switzerland. Tucker became a convert and wrote: "We are willing to hazard the judgment that coming history will yet place him (Bakunin) in the very front ranks of the world's great social saviours. The grand head and face speak for themselves regarding the immense energy, lofty character, and innate nobility of the man. We should have esteemed it among the chief honors of our life to have known him personally, and should account it a great piece of good fortune to talk with one who was personally intimate with him and the essence and full meaning of his thought and aspiration." Tucker spoke several languages and was an accomplished translator. After reading the work of Pierre Joseph Proudhon he published the first English edition of What is Property. Over the next few years he translated the work of Mikhail Bakunin, Peter Kropotkin, Victor Hugo, Nikolai Chernyshevsky and Leo Tolstoy. Tucker worked for the radical journals The Word and the Radical Review before founding the anarchist journal, Liberty in 1881. In the first edition Tucker praised Sophie Perovskaya, the Russian revolutionary who had just been executed for taking part in the assassination of Tsar Alexander II. He was also the author of State Socialism and Anarchism (1899). Paul Avrich has argued: " It (Liberty) was meticulously designed and edited, with brilliant galaxy of contributors, not least among them Tucker himself. Its debut in 1881 was a milestone in the history of the anarchist movement, and it won an audience wherever English was read. As a publisher, moreover, Tucker issued a steady stream of books and pamphlets on anarchism and related subjects over a period of nearly thirty years." After his mother died she left Tucker a large sum of money. He put it in an annuity and had a comfortable income of $1,650 a year. In 1906 he opened Tucker's Unique Book Shop in New York City. He employed Pearl Johnson and although she was 25 years younger than Tucker, they began an affair. She was pregnant with his child when the shop suffered a fire, destroying all his books, papers and printing equipment. 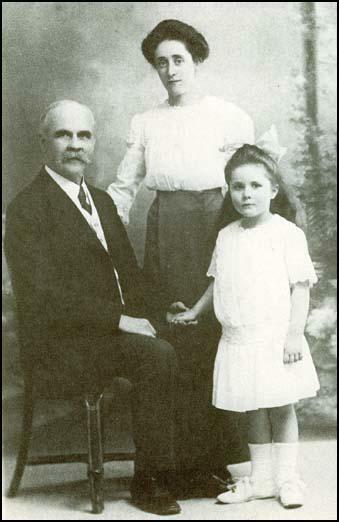 Soon after his daughter, Oriole, was born, the family moved to France. Tucker and his family lived in Le Vésinet. According to his daughter, Oriole Tucker: "My parents... were never legally married. Yet they were the most monogamistic couple I ever saw, absolutely devoted to each other until the end." During the First World War the family moved to Nice. He remained an anarchist but did not have contact with Emma Goldman and Alexander Berkman who also lived on the Riviera. Goldman later commented: "I would not go around the corner to meet him. He was an old fogey before he grew old." Benjamin Tucker died in Monaco on 22nd June, 1939. But Tucker was an accomplished translator, whose renderings of Proudhon and Bakunin (to say nothing of Victor Hugo, Chernyshevsky, and Tolstoy) alone have earned him a place in the anarchist pantheon. More than that, he was a first-rate editor and writer, one of the finest journalists American radicalism has produced. Of Liberty he had particular cause to be proud. It was meticulously designed and edited, with brilliant galaxy of contributors, not least among them Tucker himself. Its debut in 1881 was a milestone in the history of the anarchist movement, and it won an audience wherever English was read. As a publisher, moreover, Tucker issued a steady stream of books and pamphlets on anarchism and related subjects over a period of nearly thirty years. We are willing to hazard the judgment that coming history will yet place him in the very front ranks of the world's great social saviours. The grand head and face speak for themselves regarding the immense energy, lofty character, and innate nobility of the man. We should have esteemed it among the chief honors of our life to have known him personally, and should account it a great piece of good fortune to talk with one who was personally intimate with him and the essence and full meaning of his thought and aspiration. (3) Oriole Tucker, interviewed by Paul Avrich on 21st January, 1973. In New York he (Benjamin Tucker) lived pleasantly, though not lavishly, in a two-room hotel suite. Another reason he decided to go to France was that he and the family could live rather well there on his income. My parents, incidentally, were never legally married. Yet they were the most monogamistic couple I ever saw, absolutely devoted to each other until the end. Oddly enough, they believed in having separate rooms and, if one had the means, even separate houses, coming together when you wanted to. They couldn't afford that though! I always liked the idea of my husband coming home at night and not having to plan and make a date to see him! We lived in Le Vésinet the first six years, traveling a good deal. The winter following the outbreak of the war we stayed with Henry Bool in England, and when we returned to France we moved to an apartment in Nice. We stayed there eleven years. But taxes were rising sharply in France, so we moved to Monaco, where we rented a nice house for thirteen years, and where Father died in 1939. During the war, Father was anti-German from thee start. The German government, German militarism, German regimentation - he hated them with a passion. And he loved France. France was the only thing that counted - French food, French wine, French newspapers and books. He wanted to be buried there. He never came back to the United States, and never wished to. He didn't speak French very well, but he read it easily. He had a great admiration for Clemenceau, to whom he bore a close physical resemblance. Father's attitude towards communism never changed one whit, nor about religion. He was very consistent all his life. In his last months he called in the French housekeeper. "I want her," he said, "to be witness that on my death bed I'm not recanting. I do not believe in God!" I was interested, even sympathetic, in his ideas. But I was never really an anarchist. I don't think it would ever work. Neither did Father at the end. He was very pessimistic about the world and in his political outlook. But he was always optimistic about himself, always cheerful, happy; he never sat and brooded, but was content to look out at the view and at his books. He sang hymns from Sunday School - the Rock of Ages and that sort of thing - and couldn't keep a tune. He had a reputation as a cold person. But how he loved Mother! And he cried easily at anything noble.